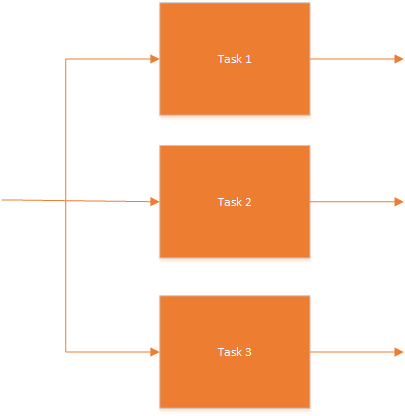 This would mean that tasks would be executed sequentially. 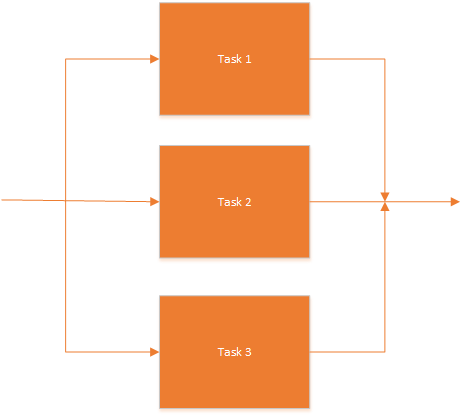 The second task would run only after the first one is finished, and the third task would run only after the second one is finished. // Task 1 takes 2 seconds to be done. // Task 2 takes 3 seconds to be done. // Task 3 takes 1 second to be done. // Print the final result. We can see that the output looks a tad weird. Still, it makes much sense. What happened is that Task 3 has finished, which caused our WhenAll task to complete. This, on the other hand, caused our Workflow to be completed and with that our two remaining tasks as well. Temporary Tables honor the explicit transactions defined by the user. Table variables doesn’t participate in the explicit transactions defined by the user. Temporary Tables are not allowed in User Defined Functions. Table Variables can be used in User Defined Functions. Temporary table supports adding Indexes explicitly after Temporary Table creation and it can also have the implicit Indexes which are the result of Primary and Unique Key constraint. Table Variables doesn’t allow the explicit addition of Indexes after it’s declaration, the only means is the implicit indexes which are created as a result of the Primary Key or Unique Key constraint defined during Table Variable declaration. There are two types of Temporary Tables, one Local Temporary Tables whose name starts with single # sign and other one is Global Temporary Tables whose name starts with two # signs. Scope of the Local Temporary Table is the session in which it is created and they are dropped automatically once the session ends and we can also drop them explicitly. If a Temporary Table is created within a batch, then it can be accessed within the next batch of the same session. Whereas if a Local Temporary Table is created within a stored procedure then it can be accessed in it’s child stored procedures, but it can’t be accessed outside the stored procedure. Scope of Global Temporary Table is not only to the session which created, but they will visible to all other sessions. They can be dropped explicitly or they will get dropped automatically when the session which created it terminates and none of the other sessions are using it. Scope of the Table variable is the Batch or Stored Procedure in which it is declared. And they can’t be dropped explicitly, they are dropped automatically when batch execution completes, or the Stored Procedure execution completes.